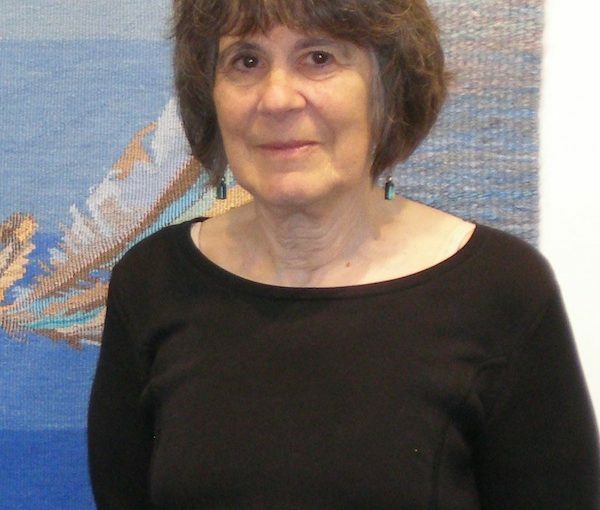 Through the art of weaving, internationally acclaimed local artist Barbara Heller explores the world – and she doesn’t shy away from controversial topics. Themes of politics and destruction, renewal and society attract her exactly because of their complexity. After earning a certificate in art education, Heller taught printmaking for awhile, but an allergy to the chemicals used pushed her to seek another form of artistic expression. 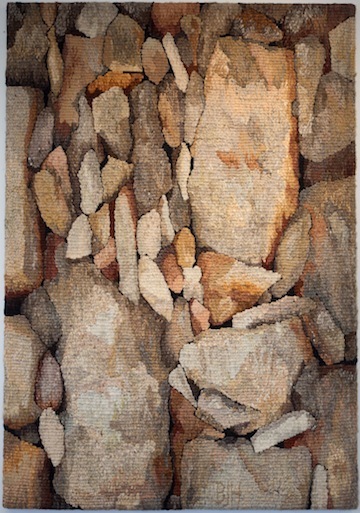 She took some evening classes in tapestry-making, and loved it. 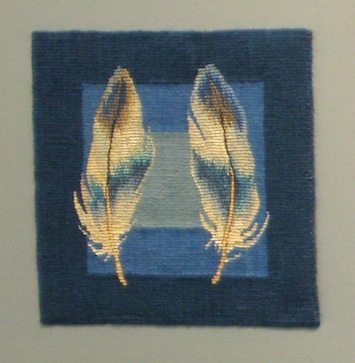 She started showing her work at craft markets and art fairs. She continued her art while raising her son. Her latest creation, “Regeneration,” took a year to complete. 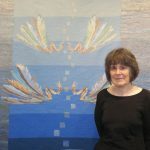 This large tapestry, made in collaboration with botanist Elena Klein, is part of the group show Connections that opened on May 11 at Craft Council Gallery on Granville Island. The concept of the show was collaboration, an exchange of ideas between three textile artists and their non-artist friends. “Tzimtzum” or “Transcendence,” by Barbara Heller. The tapestry has three distinct sections. The bottom layer is flames, blazing with red, yellow and orange, gorgeous and deadly. The middle part is what comes after, and these grey ruins could almost be anywhere in the world. The aftermath of a fire, whether man-made or natural, is the same: ash, devastation, fear. But hope won’t be denied, and the top part of the tapestry represents rebirth: a green field with the pinecones scattered around. 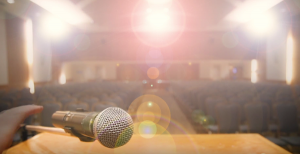 The artist’s message is clear: new growth will come out of the wreckage. Life will reassert itself. 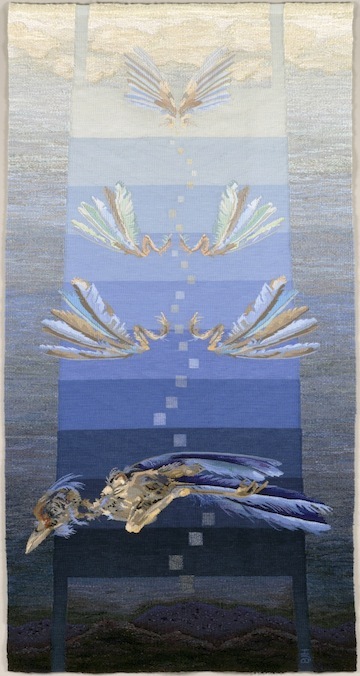 The same message of life arising from destruction or death manifests in another of Heller’s large tapestries, “Tzimtzum” or “Transcendence.” In 2016, she was invited to submit a piece to the 15th International Triennial of Tapestry in Lodz, Poland. “I wanted to work on an image with birds and wings, starting with tragedy, but ending with hope,” she said. After six months in Poland, the tapestry came home, and it is currently on display at Christ Church Cathedral on Burrard Street, as part of the show (in)finite. The exhibition, featuring 30 Canadian textile artists, opened on May 25 and runs until June 4, with an opening reception on May 27. The show Connection on Granville Island continues until June 22.